Hewlett-Packard said it will manufacture more TouchPads in response to "stunning" demand following the company's decision to discontinue the tablets. "Despite announcing an end to manufacturing webOS hardware, we have decided to produce one last run of TouchPads to meet unfulfilled demand," Mark Budgell, an HP spokesman, wrote in a blog post. The site appears to be overloaded and is currently unavailable, but the post has been reposted elsewhere online. The newly manufactured tablets will go on sale in a few weeks. He said a "limited" number would be made but couldn't say exactly how many. "We can't promise we'll have enough for everyone," he wrote. The company will produce the tablets during its fourth fiscal quarter, which ends Oct. 31. People interested in the tablets can follow Budgell and HP spokeswoman Bryna Corcoran on Twitter for updates on when the new tablets will go on sale, he said. He did not say if the tablets would continue to be sold at a drastically reduced price or if they would also be sold through retailers. When the company announced that it was discontinuing the TouchPad on Aug. 18, it dropped the price of the 16GB version to US$99 and the 32GB version to $149. The 16GB TouchPad initially retailed for $499. 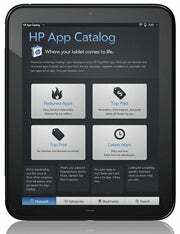 Within days, HP had sold out of the tablets as had many retailers. Some of the demand may have come from people who were interested in porting Android to the tablets. While webOS, the software that comes with the TouchPad, has been praised, some buyers might worry that HP might stop supporting it. 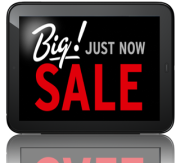 But porting Android to the $99 tablet makes it one of the best tablet deals around.